Our range of bayonet caps are made to suit various sizes of our bayonet springs and steel armour. Our caps are precision machined in the UK from either brass or stainless steel, depending on model, and we have connection options of 1 slot, 2 slot or 2 peg. Our range of sizes can be found below. Our range of springs are made to suit our range of caps. Springs are open coil and have a bell style end. Our springs are stainless steel and have a secure fit with our caps. If you require more information about our springs such as ID or wire thickness please contact our sales office. Our range of bayonet adaptors are made to suit our bayonet caps above. 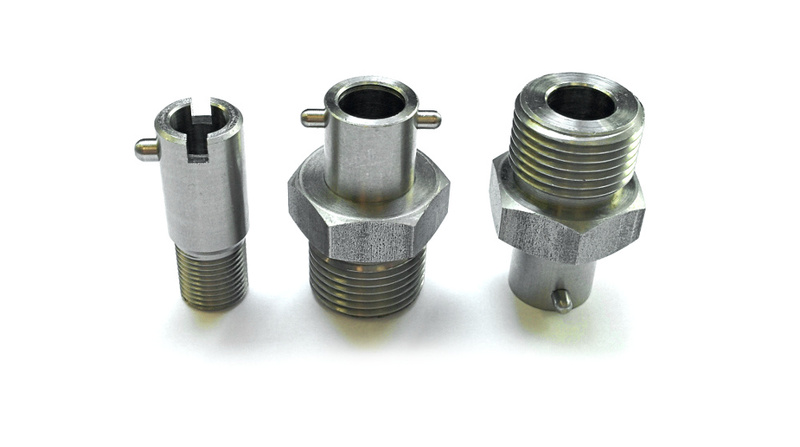 The pegs on our adaptors are tightly pressed in or, on newer batches, may be machined into the adaptor itself for extra strength. To match our adapters to our caps, ensure the number of slots is equal or more than the number of pegs. The caps ID is usually 0.5mm bigger than the adapter diameter for ease of assembly. Our bayonet assemblies provide a quick and easy option to adapt existing probes to become bayonet compatible and spring loaded. 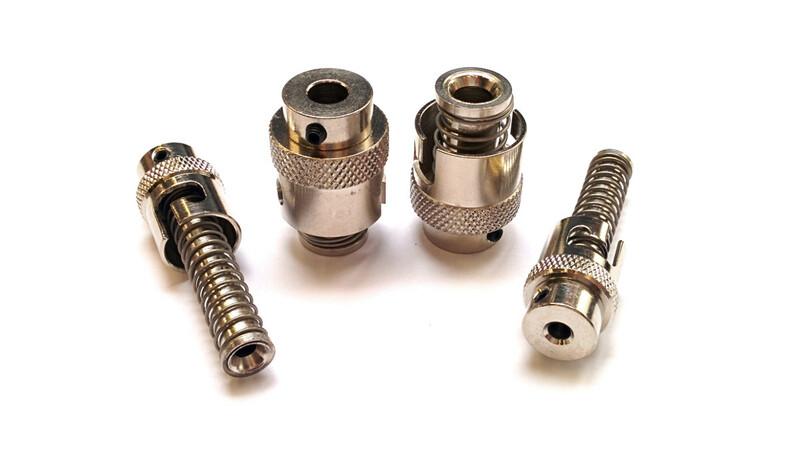 Utilising either a set screw or compression head our assemblies are extremely simple to fit. They are made from plated brass and come ready assembled as a single unit . Our stock range of assemblies can be found in the table below. If you need something different or require more information on one of our stock models please contact our sales office.